On the 30th of September and 1st of October I raced Glasgow’s first ever Sprint Grand Prix, a 2 day event where I raced Keirin on the first day and the Sprint on the second. In both events I finished 5th and qualified faster than I had done the previous month at British Junior Champs. The GP was an incredible event with a great mix of abilities and I look forward to competing in it annually (note from the Organiser that the 2018 event is confirmed for the 1st / 2nd September) As soon as the GP was over it was time to pack the van before heading for a week in the sun in Valencia with Scottish Cycling. It was the perfect opportunity to escape the sights of the Glasgow velodrome and Scottish weather and for me to experience my first ever training camp. 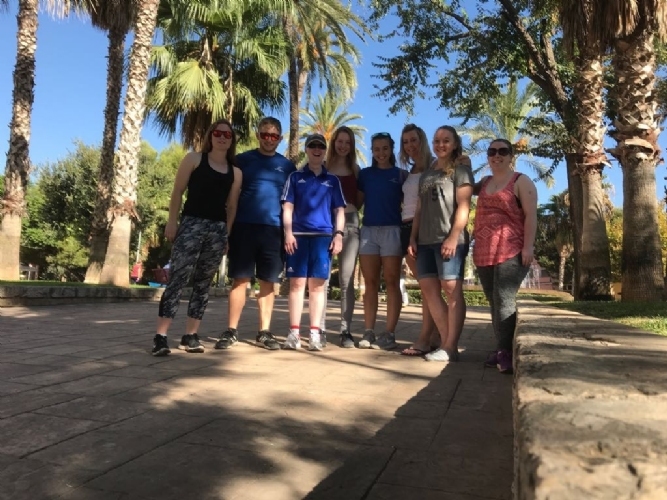 The camp was amazing and was the perfect mix of training - road, gym and track and the chance to chill in the sun to gain some extra vitamin D. We left on Tuesday the 3rd and started training on the Wednesday starting with a double day of gym and track. The track was totally different to Glasgow, it was an indoor concrete track making it very bumpy and dusty but easy to ride. Day 2 started with a road ride where, after crashing on a right hand turn down a small descent, I was reminded that I am not the same descender as I used to be and that as a track sprinter right turns are harder than they used to be. All good and ready to go again it was track time with flying efforts behind Jamie Alexander and Lucy Grant on small gears. Through the rest of the week we continued track, gym, road and some roller skills work, we spent our rest day chilling at the beach before adventuring around a rainy Valencia. A massive thanks to Scottish Cycling for the great camp. Back to Glasgow and the rubbish weather it was focus time for Scottish Senior National Track Champs in November. 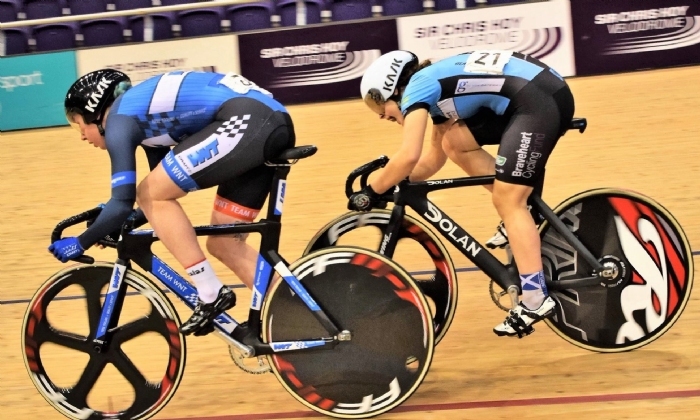 The weekend started with the 500 metre time trial where I managed a PB and broke the Scottish Junior Record on my way to 3rd place in the race, it was then onto the Keirin where I won another Bronze medal. 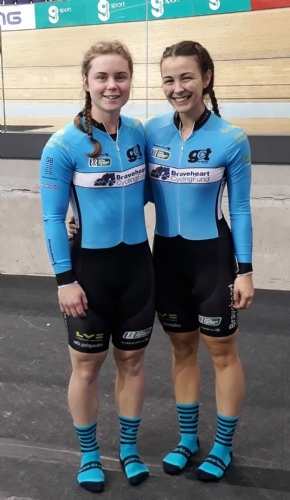 On the Saturday I raced my first Team Sprint with Lucy Grant. We raced better than we thought and managed to get the Gold medal with times that will give us a good platform for next year. Sunday brought the Individual Match Sprint and some sore legs to go with it. In the 200m qualifying I was gutted not to beat my PB but thankfully done enough to gain another Scottish Junior Record. 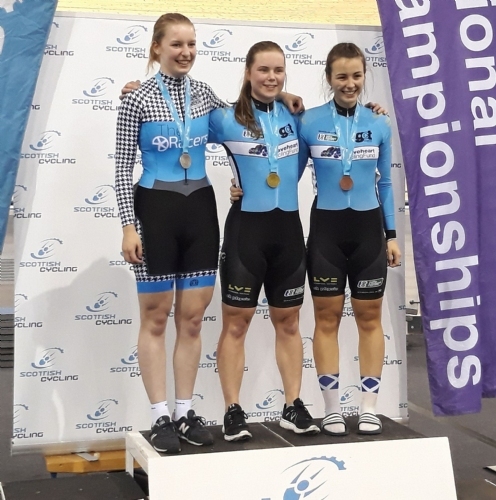 Some tough racing against my squad-mates put me in the final for a gold medal against Rebeca Dornan and after a tough weekend of racing I was happy to end my first Scottish Senior Track Champs with a Silver medal to go along with the two Bronze and one Gold along with 2 new Junior Records. The following weekend we had our last squad trip of 2017, down to Wales for the Newport GP. We left on the Friday morning and had a nice long drive down to South Wales before racing on the Sunday. Again tough racing put me on the podium, this time for a Bronze medal and some prize money for some new trainers. Next up for me is the Festive Flyer in Glasgow on the 9th of December where I’ll be riding Team Sprint as Man 1 with Louise Haston before having a bit of time off over Christmas then straight back into racing in January at Appeldoorn in Holland with the Scottish Cycling Juniors and then my second shot at the British Senior Track Champs in Manchester. A massive thank you to Braveheart Cycling Fund and everyone who has helped me this year. It has been fantastic and so different to youth racing. Winter training is going really well and I am excited for what next year has to bring.